Why I prefer to play online craps over a live craps table. I’ve been playing Craps since I was old enough to walk into a casino. It’s one of those games that is defined not by the rules or the house edge, but the experience. For this reason, I never thought playing craps at an online casino would be good until I finally gave it a chance. Now I play 90% of my craps games online. Playing live does offer a more exuberant atmosphere – there’s no mimicking that on a computer or mobile device. But those rowdy crowds aren’t always a positive thing. I’ve smelled some pretty rank odors around a craps table in my day… just saying. And if you’re new to the game, a live casino is the last place you should be learning the ropes. You can play for free online and figure it all out as you go. Now that technology allows this option, I would never send anyone into the lions den of a casino to learn craps “as you go”. That’s how I learned, and trust me, it was brutal on my bankroll! I’ve got three strong arguments that point to the superiority of online craps over the live version. I’ll list them in order of my personal preference. 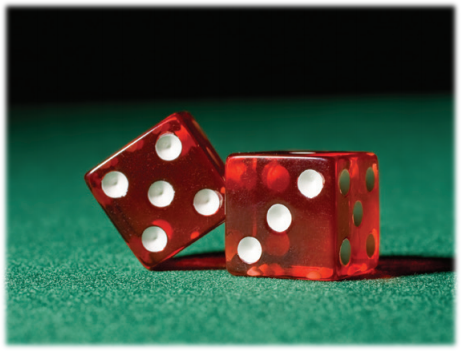 A craps table has a sizeable betting diagram, and on a busy night, there can be a large crowd of people playing. That’s a lot of bets and wagers for two staff members to keep up with. Believe me, as professional as croupiers and boxmen can be, mistakes do happen. And when they happen, it can cause a lengthy disruption at a live craps table. The casino has to halt the game, call a pit boss over, explain the situation. The player is left nervously waiting or arguing their case, hoping to get a positive outcome, while everyone around them grunts and groans impatiently. 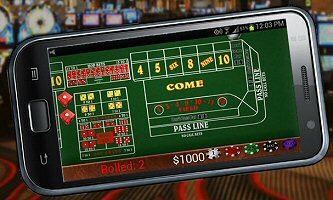 Playing craps online removes all possibility of human error. Your bets can’t be misread, your payouts are never skipped, and always delivered in the correct amount. This is by far my favorite aspect of playing craps online. I love this part. Sometimes it’s fun to get dressed up and head out to a big casino, playing the role of the perfect little happy gambler. But the etiquette required to play craps – or any live table game for that matter – is extensive. There’s no reaching across the table. There are certain bets you cannot place yourself – only the dealers can do it. You have to make sure they hear you, too, but not yell at the same time. And that’s just the obvious stuff. Coming along and betting while the puck is off is considered rude. Betting against the shooter makes you an evil person, especially if you celebrate winning! And if you so much as say the word “seven”, you’ll get booed off the table. While you’re keeping yourself in check at the live craps table, don’t forget about tipping both dealers once per hour! Last but not least, you’ll find your bankroll can stretch a lot further online. I’m not just talking about lower table limits. While some bigger casinos do have $5+ minimums, most casinos keep the starting chips at $1 to accommodate the need to place some bets in multiples of 6. What keeps your budget stocked are occasional online casino bonuses and the lack of tips you’ll be doling out. Don’t get too excited about the bonus factor. Many internet casino bonuses are designated for “slot machines only”. But for the bonuses that can be wagered and cleared while playing online craps, that’s nothing but extra gravy on your biscuits!